The Mediterranean diet consists mostly of healthy fats and oils, nuts and seeds, vegetables, whole grains, fish, and cheeses. I believe this is one of the easiest way to cut down on unhealthy carbs and incorporate veggies in your meals without sacrificing taste. I won't lie, I am a carnivore. I seriously can and would eat an entire cow if it was wonderfully grilled in front me. Sorry to disappoint you, vegans, but I see cows and lambs as perfectly grilled and seared steaks. I won't be all hypocritical and tell you to eat your veggies, cut down on meat lest you die of cardiac arrest. Despite my advocacy on healthy eating and living, I will not be a moral compass of sorts. For when it comes to food, ALL IS GOOD and only greed and gluttony is evil. In between being a hands-on mom, running a household, two businesses, a day job, and this blog, I barely have the time for anything at all. I'm no supermom and I know I can never be. I doubt I'll truly be able to strike that perfect balance between family, and pleasure for I know if there's one thing I'd truly pour all my heart into that would be my child. I'm pretty sure most moms would agree. So anyway, a couple of months ago, someone asked me if I cook. My ecstatic response was: A LOT, I LOVE COOKING! I don't remember a time when I didn't feel excited nor passionate about cooking. I may be the biggest dork in the world for all I care but for the life of me I just cannot bear this stupid simulation games that asks you to build your own citu and they make you do all these stupid tasks like buy a pie or whatever. Meh. I am just ranting. But seriously, I hate tat these games are programmed to be so annoying, tedious, but highly addicting. OH THE EVIL SORCERY! Smart moms just wanna have fun! 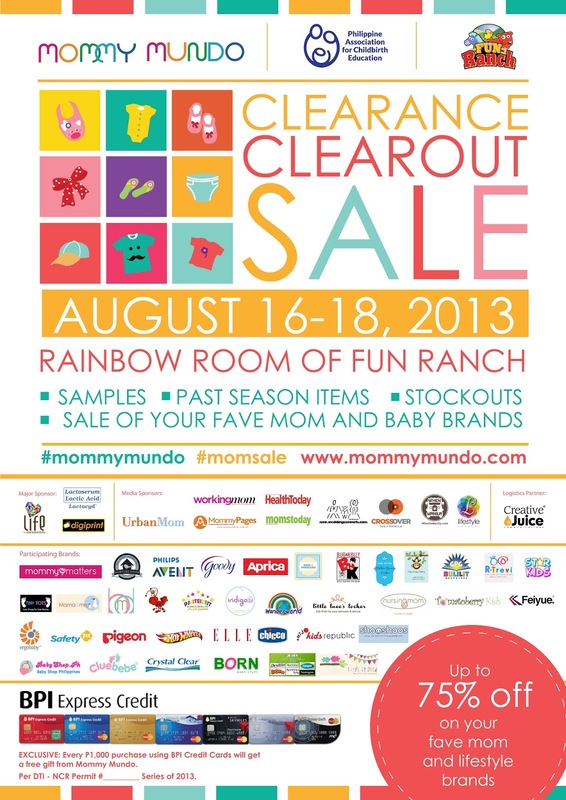 Calling all budget-savvy moms, gear up on the latest mom-baby products without breaking the bank at the 3rd Mommy Mundo Clearance Clear Out Sale happening on August 16-18, 2013 at the Rainbow Room, Fun Ranch Building, Frontera Verde, Pasig. Get samples, stock outs, past season items, and discounts of up to 75% off from over 30 most loved brands for moms and kids. Participating mom-loved Brands Cluebebe, Crumbs & Grubs, Born Baby Stuff, Bug & Kelly, Tiny Tots, Silly Monkey Clothing, Tots & Toddlers, R. Trevi Concepts, Bulilit Bookstore, Little Luees Locker, Jejsy, Starkids, Wonderworld Toys, Indigo Baby, Shop Mommy Matters, Nurture Nook, Tomatoberry, Baby Shop PH, Nursingmom Manila, Mama & Me, Philips Avent, Goody, Aprica, Ants Pocket, Chicco, Safety 1st , Ergo Baby, Elle Apparel, Hot Wheels, Pigeon, T-rrific by Inked/Chubby Cheeks, Shooshoos by Tyler Marketing, My Baby Dragon, and more! Shop 'til you drop and load up on your pre-holiday shopping with BPI Credit Card. Because this sale is especially for you moms, get a free gift from Mommy Mundo for every P1,000 purchase using your BPI Credit Card. 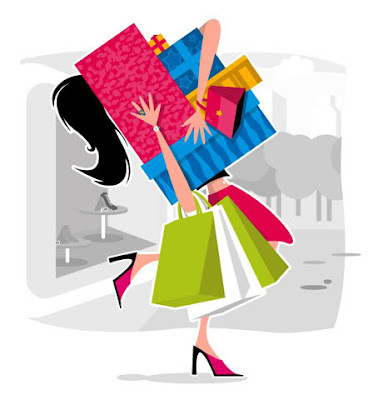 Shopping— it's one of the best therapy for women and a man's worst enemy! Seeing pretty things is definitely a top stress buster and if only I had the luxury of time to window shop/shop all day, I would. But alas, with the demands of my daily schedule with family, work, business, and trying to juggle and balance all three along with my personal needs, there's really no time to be wasted travelling to the mall, huddling along the crowd, and waiting in long queues at the cashier. FIRST TRIMESTER.Pre-natal Needs: Tests and Costs, Vitamins and Supplements. Happy Mommy Adventures is licensed under a Creative Commons Attribution-NonCommercial-NoDerivs 3.0 Unported License. This blog is a personal blog written and edited by me. 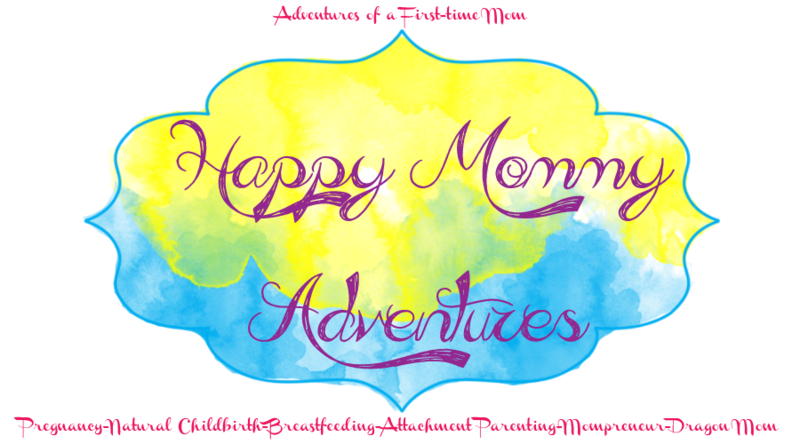 For questions about this blog, please contact thehappymommyblog@yahoo.com.